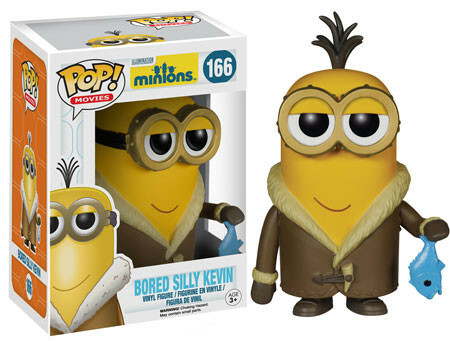 The Despicable Me movies might be about Gru, but the standouts are really his sidekicks, the Minions. The yellow henchmen were the breakout stars of the films. 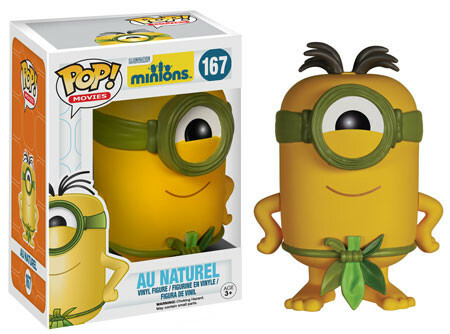 Now, not only do they have their own spinoff franchise, but they've got a Funko Pop Minions line to call their own. 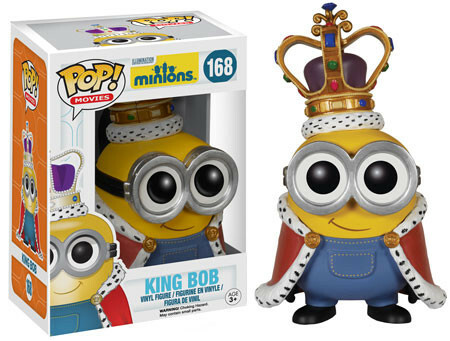 Among the choices, there's Kevin and Bob, two of the few given actual names, as well as some Minions taken throughout various points in history. 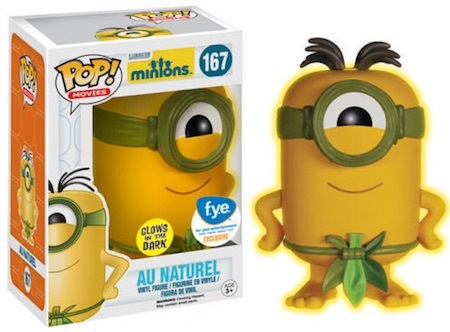 The end result is a group of figures that covers everything from cave-Minions, to pirates, to what the Garden of Eden might look like with the yellow guys and goggles. 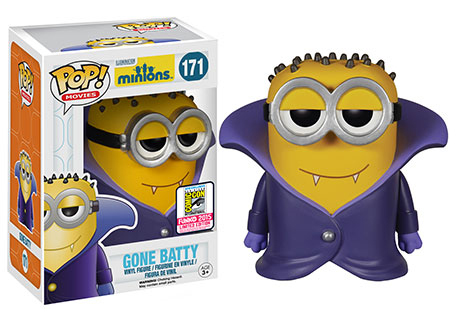 Exclusives include the Glow-in-the-Dark Au Naturel at FYE locations and Gone Batty from the 2015 San Diego Comic-Con. 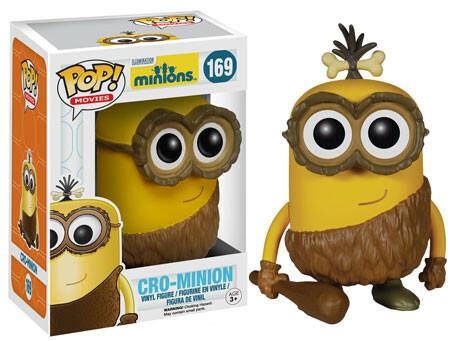 See Also: Ultimate Funko Pop Despicable Me Figures Guide. 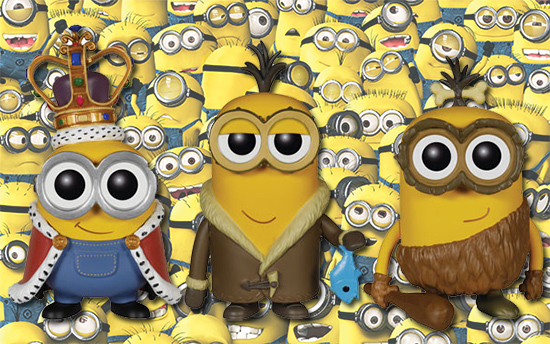 Although not all of the Minions stand the same size, each of the figures are around 3 3/4 inches tall when accessories and head gear are taken into account. Numbered as part of the Pop! Movies line, some of the characters have been featured on Pop! 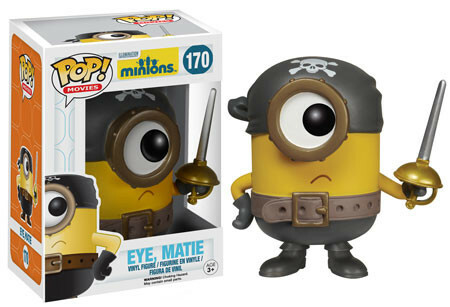 figures before, but they were tied directly into the Despicable Me vinyl set. 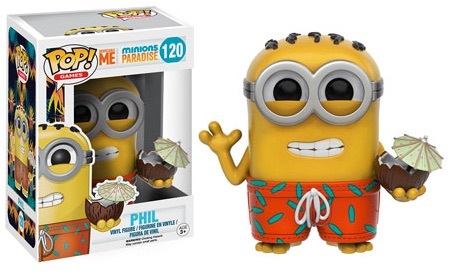 There is also a Phil figure for the Minions Paradise mobile game that is included in Pop! Games.